Hello again and welcome to Summer!! It has certainly been warm lately. Thankfully we haven’t suffered from some of the natural disasters plaguing other areas of the State and Country. Since my last article in August, there have been 41 policing occurrences in Montville and 30 in Flaxton. In my previous article, I quoted figures at that time of 39 and 34. So the number of policing occurrences for the area has remained steady, which is great news as it is a low number. In late August, a break-in occurred at Altitude on Montville and a quantity of cash was stolen. Fingerprints were located but at this stage an offender has not been identified. Also, in late August, an alleged assault occurred at a private residence in Flaxton. Witness statements and forensic evidence has been obtained and a suspect identified. This matter is still being investigated. In early September, the Blackall Range Woodcrafters Guild at the Montville Sports Complex was broken into and their defibrillator stolen. Fortunately, the defibrillator was located dumped in a neighbour’s property some-time later. The offender/s made a huge mess inside including by pouring a container of oil over a compressor, smearing cleaning products on windows and other surfaces, throwing wood shavings over everything etc. It is suspected that juveniles are responsible, however, at this time there are no suspects. Also, in early September, the Montville School suffered from graffiti. In total, four buildings were damaged by an offender using silver spray paint. This also appears to be a juvenile act and may be linked to the break-in to the Woodcrafters Guild. In early November, a break-in occurred on an uninhabited house in Flaxton. Some damage was caused but nothing was stolen. There are no suspects currently. In early November, an advertising sign out the front of a café in Main Street, Montville, was stolen. This may seem innocuous to some people. However, the sign cost nearly $300, which is significant for a small business. The sign was stolen during the middle of the day. Unfortunately, no witnesses have come forward and there are no suspects. On the 6th of September, a two-vehicle crash occurred on Flaxton Drive. One driver sustained minor injuries. A 53 year old Flaxton man was issued an infringement notice for driving without due care and attention. On the 20th of October, a single vehicle crash occurred on Flaxton Drive. The vehicle involved was stolen and the male driver was seen decamping prior to police arrival. The vehicle ignited as a result of the crash and was completely destroyed by fire. Enquiries are continuing to identify the offender. On the 29th of September, a 20 year old man from Tewantin and a 17 year old female from Pomona were intercepted driving in Montville. As a result of the observations of the police, a search was conducted of their vehicle and police located a quantity of marijuana and various utensils. Subsequently, both persons were offered and accepted a drug diversion course due to their lack of previous criminal history. On the 15th of November, police executed a search warrant on a dwelling in Montville. A quantity of drugs and explosives were located. A 30 year old Montville man was offered and accepted a drug diversion course due to his lack of previous criminal history. Further investigations are continuing in relation to other suspected offenders. 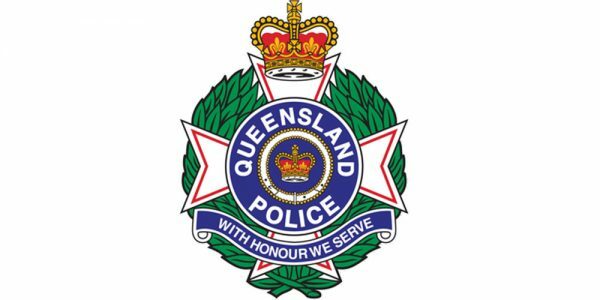 On the 4th of September, a 32 year old Palmwoods man was charged with drug driving in Montville. On the 18th of October, a 33 year old Mountain Creek man was charged with drug driving in Flaxton. An issue that has had significant media coverage lately is the behaviour of some motorists when driving near bicycle riders. Please remember to give bicycle riders at least one metre of space when in a 60km/h or lower zone and 1.5 metres of space in a higher than 60km/h zone. As all Montville / Flaxton locals would know, the hills of the Blackall Range are very popular for serious bicycle riders and most weekends and many early mornings, bicycle riders can be seen in abundance on our hinterland roads. Remember that bicycles are entitled to use the roads just as much as motor vehicles. If all parties could show respect for each other and the road rules, tragedies such as we’ve recently seen would be seriously minimised.